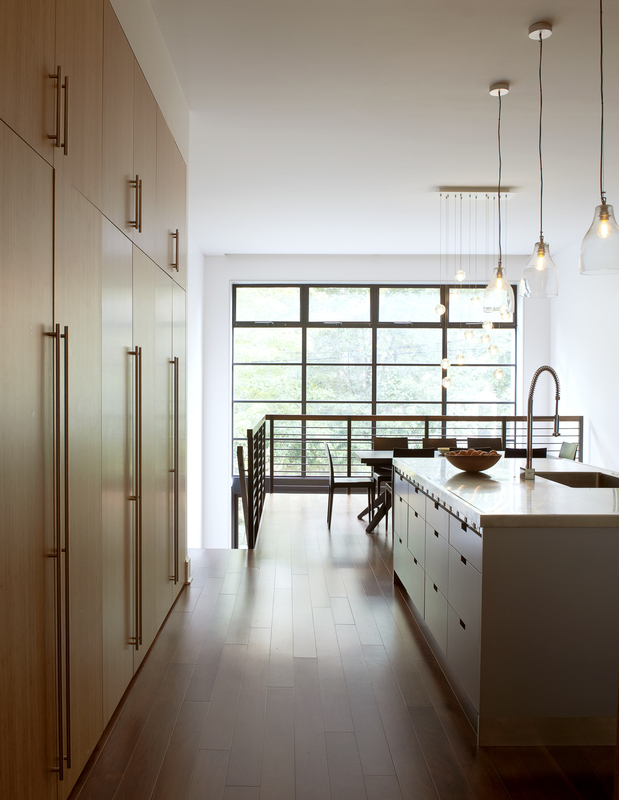 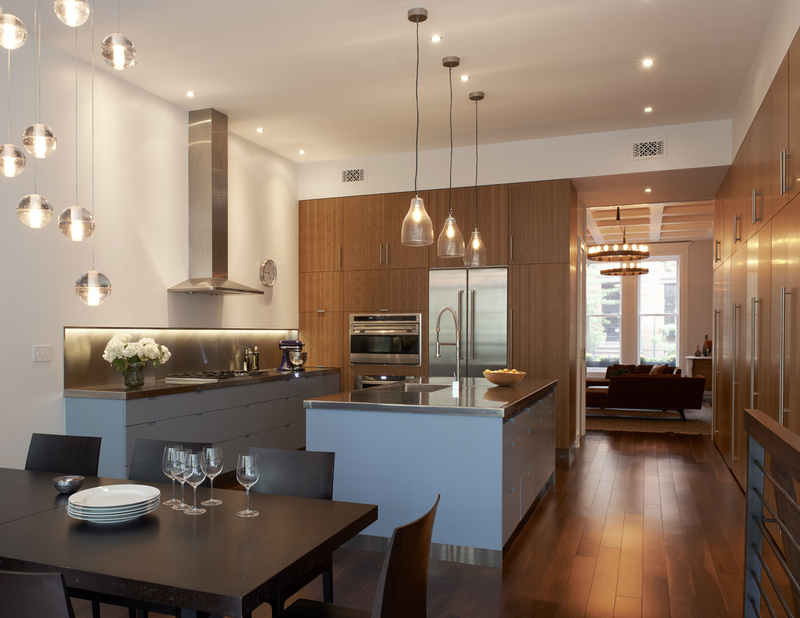 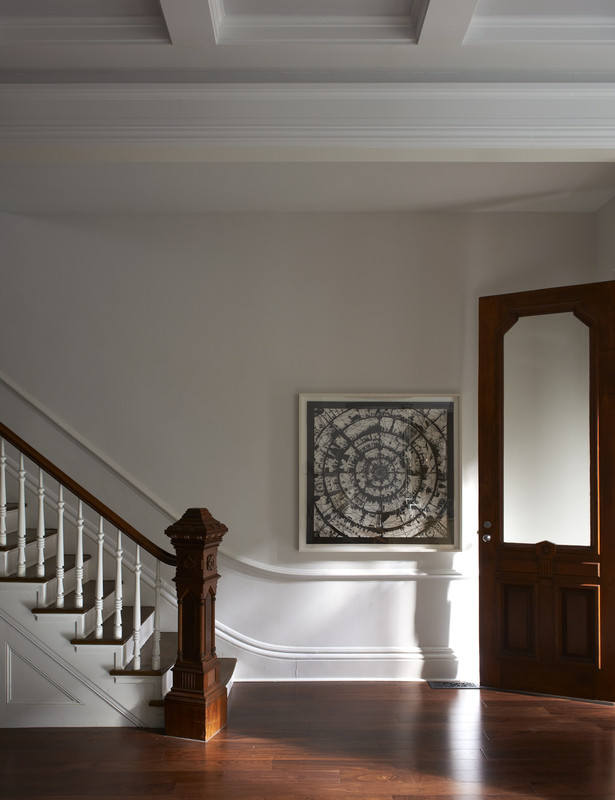 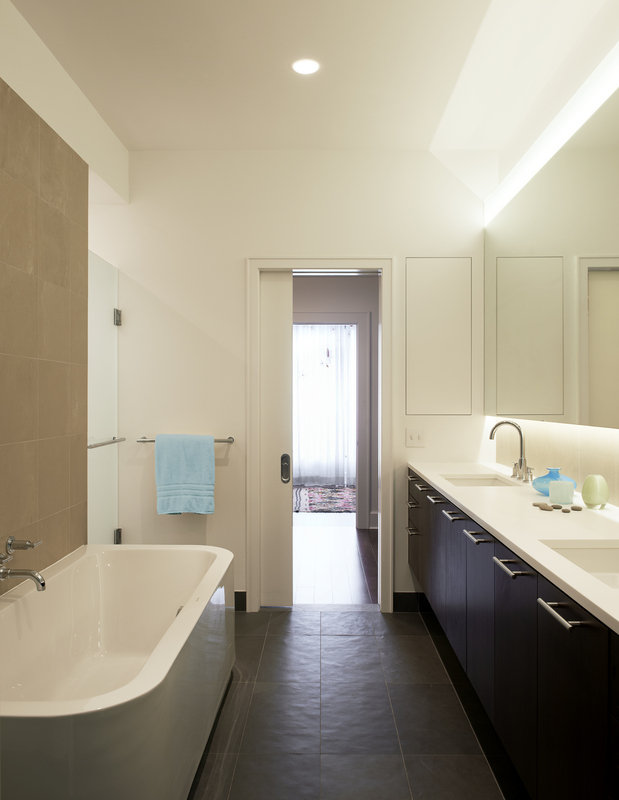 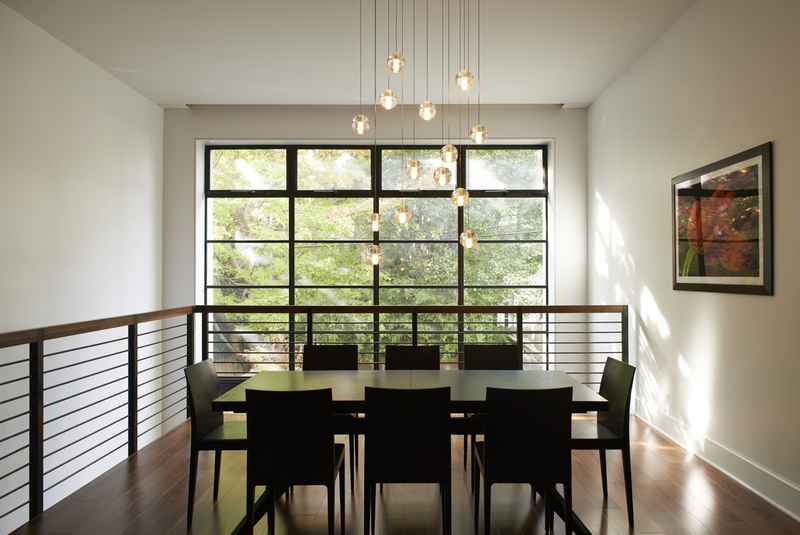 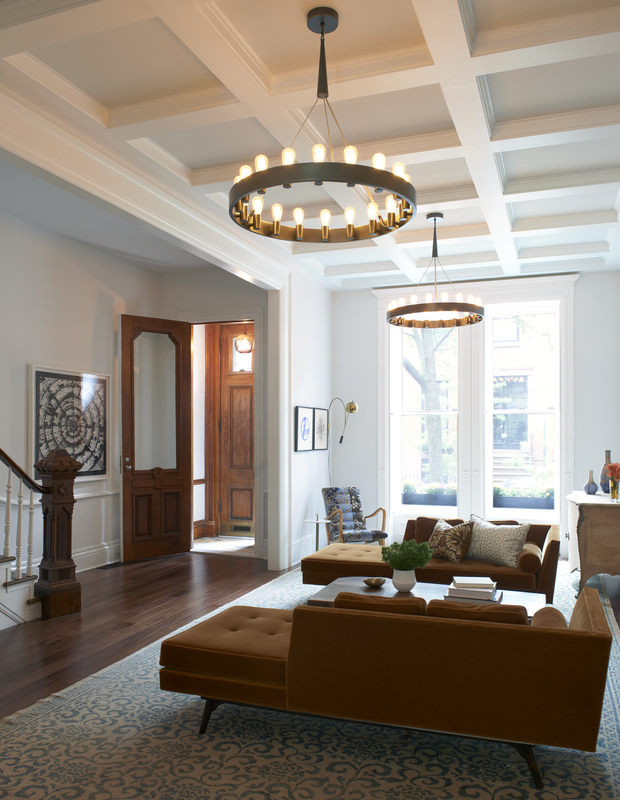 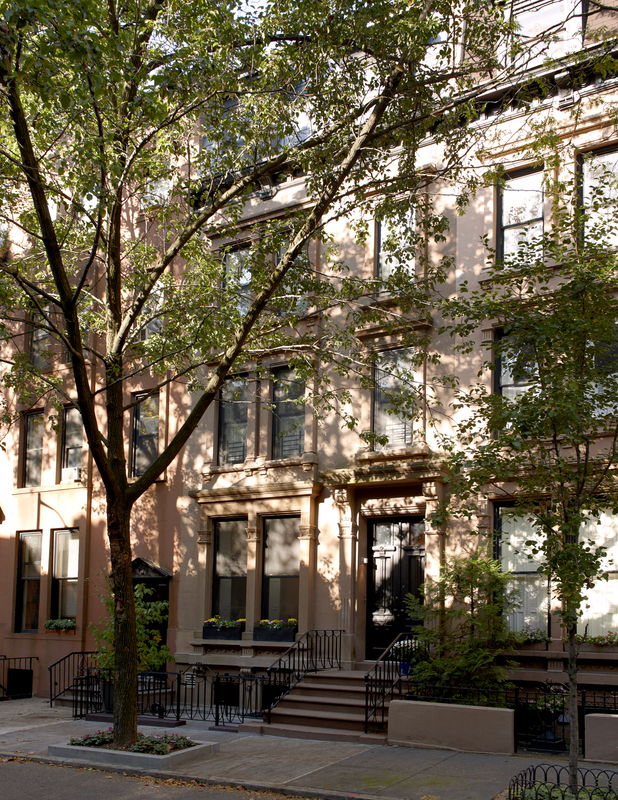 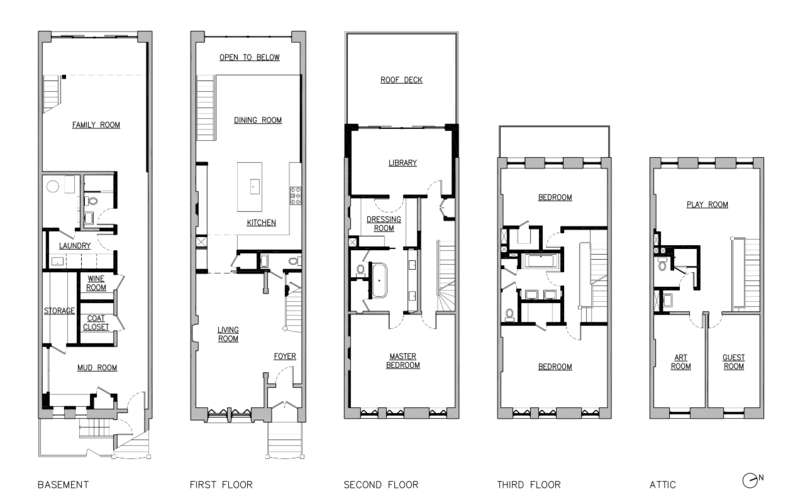 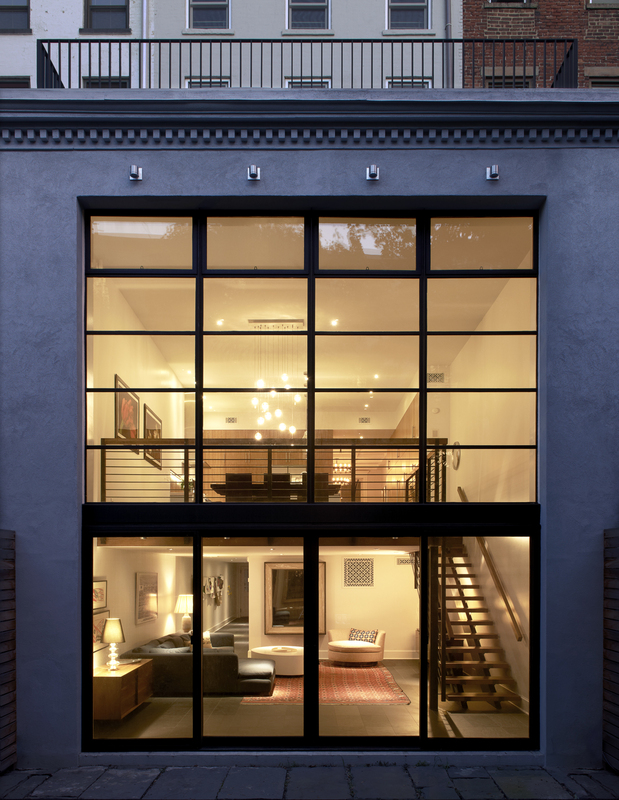 In this large brownstone addition, period restoration and dynamic modernism join forces. 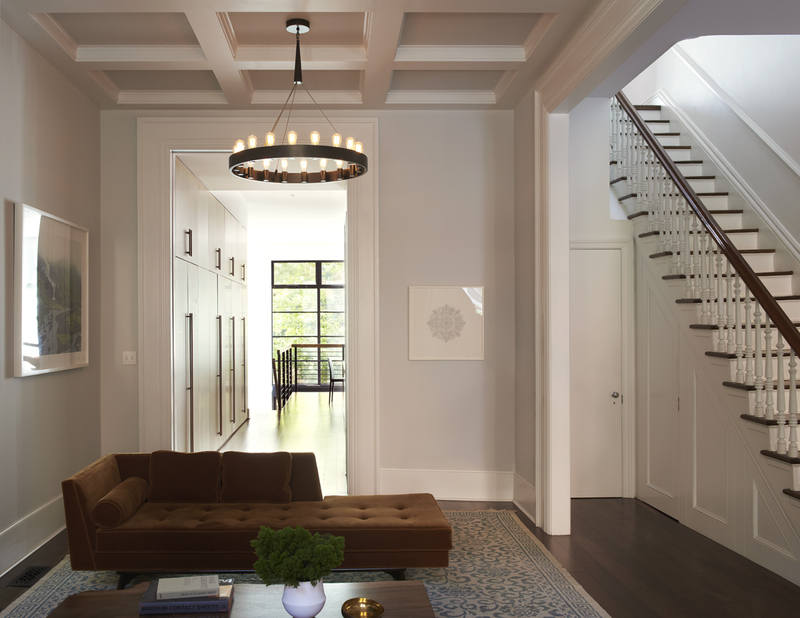 The living room’s coffered ceiling is a historical re-creation that contrasts with the clean lines of the kitchen. 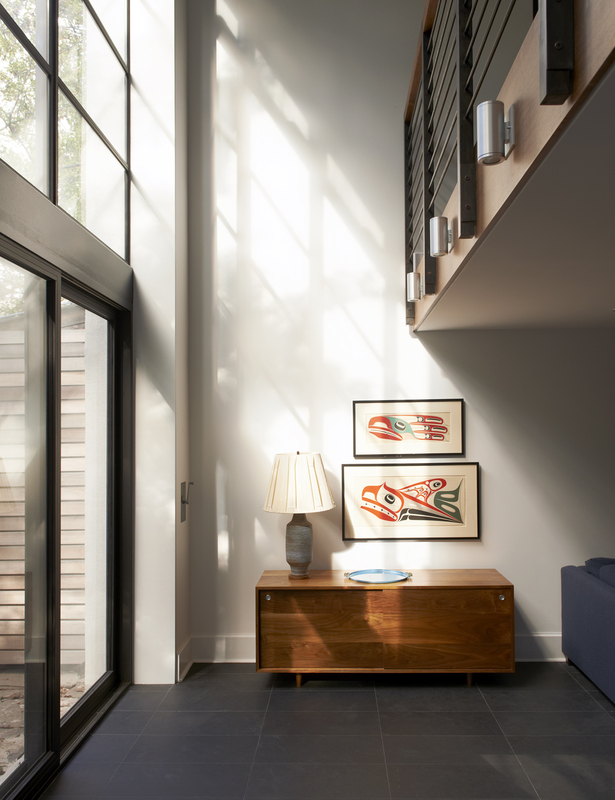 A cut in the parlor floor adds a spatial dimension, while clearing the way for a double-height wall of glass. 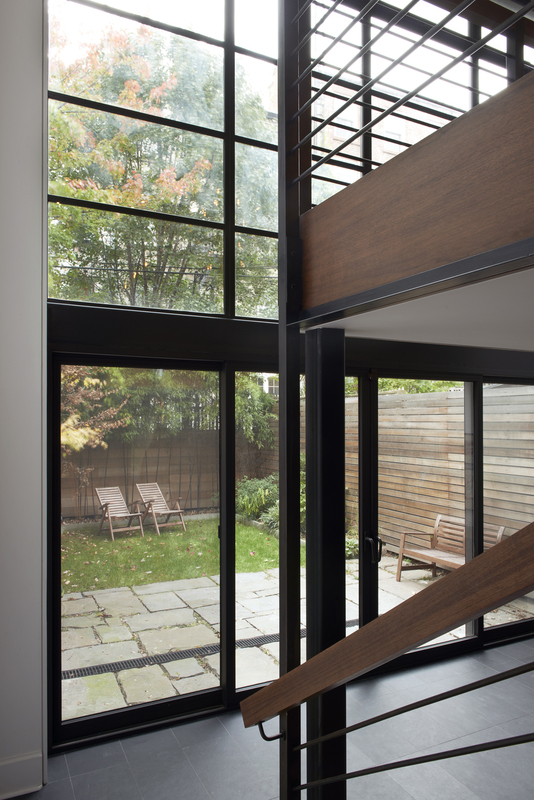 Moreover, this fills two floors with sunlight and garden views. 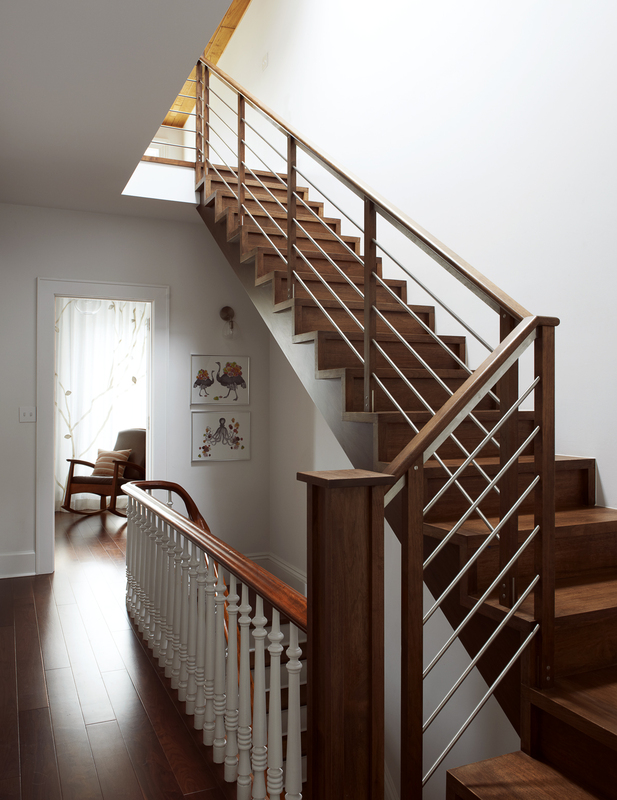 Crisp new stairs play against refurbished ornate stairs. 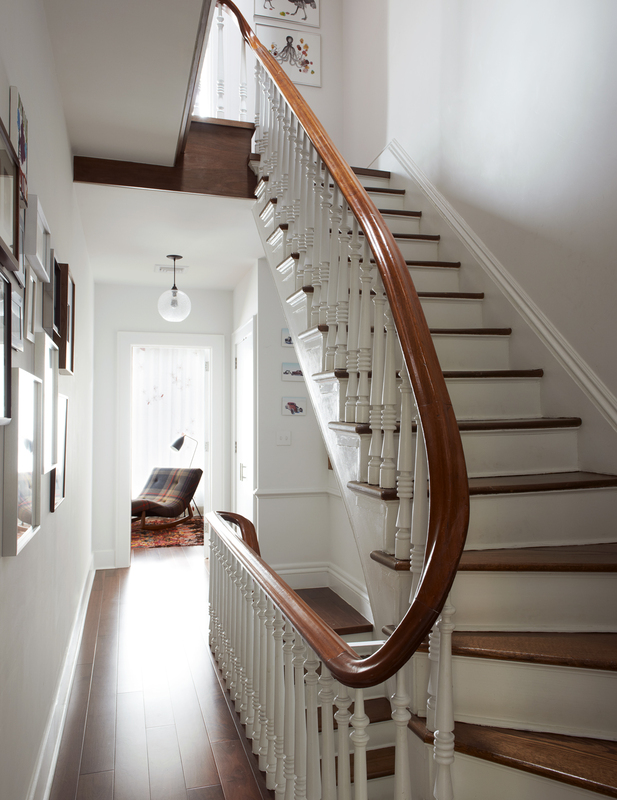 And lastly, a laundry chute runs from the bedroom floors to the basement laundry room.